There’s a “food democracy” in Negril I’ve not found anywhere else on Jamaica. Perhaps that’s why this easygoing beach town is my sweet spot, the epicenter of everything culinary on my favorite Caribbean island. It’s the simplicity, the almost hedonistic environment, of intersecting ocean and jungle, where fresh ingredients surround me as I walk along the cliffs or on the beach. In places where large hotels are predominant, local cuisine is obscured; homogenized resorts make food that makes their guests comfortable. But here in Negril, where no hotel can be built higher than the tallest palm tree, everyone can find the same fresh dishes, whether tourist or local, regardless of income or social status. 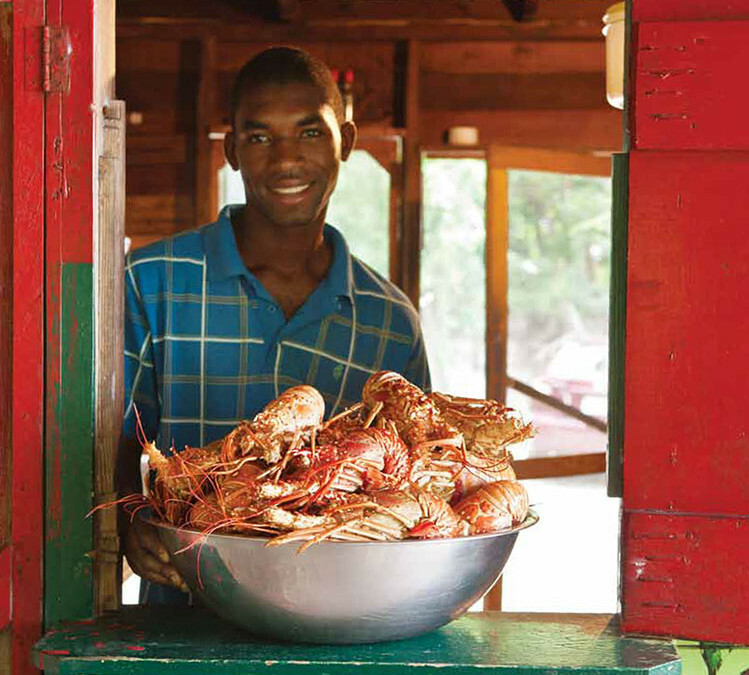 When you eat on the streets of Negril, everyone is the same and food is the common denominator. As a chef, I find this completely fascinating. The cuisine reflects the national motto, “Out of Many, One People.” Almost every plate reflects the island’s rich cultural tapestry. The Spanish, first to conquer, left behind escovitch and other vinegary marinated dishes. From the English came the patty, the Jamaican turnover inspired by the English pasty. The Maroons, former slaves, cooked over open fires, contributing to the birth of jerk cooking over allspice wood. Then there is curry, brought by West Indian indentured laborers, and Rastafarian ital cuisine — totally vegetarian, devoid of salt and extremely flavorful. Click here to read the entire article.